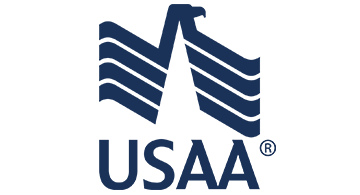 USAA was founded by the military, for the military. In 1922, 25 Army officers came together with the goal of insuring one another’s vehicles when no other insurance company would. These military officers and their military lifestyle were seen as too risky. So, together, they founded USAA. And from those beginnings, we’ve followed the same military values our founders prized: service, loyalty, honesty and integrity. The mission of the association is to facilitate the financial security of its members, associates, and their families through provision of a full range of highly competitive financial products and services; in so doing, USAA seeks to be the provider of choice for the military community. Reflect the values of the military and our membership, and form the foundation of how we behave and make decisions. Defines the principles for how we aspire to develop our culture, deliver our mission, serve our members and live our brand.